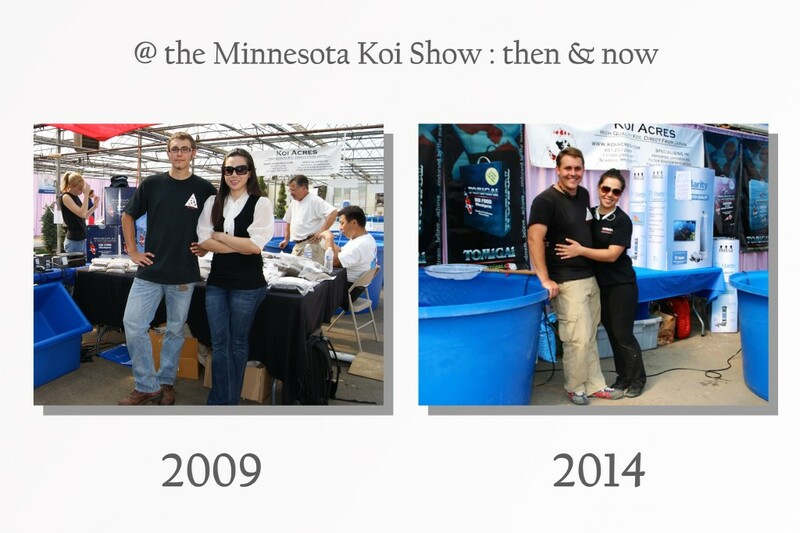 Judging at the Minnesota Koi show was concluded today and while I am itching to share with everyone who won which award, I will have to delay the results until tomorrow since the club has opted to keep the results a secret until the awarding ceremony tomorrow. They want to keep it as a surprise for as long as they can until hopefully the last minute when the awarded Koi is announced during the ceremony at the show site tomorrow. 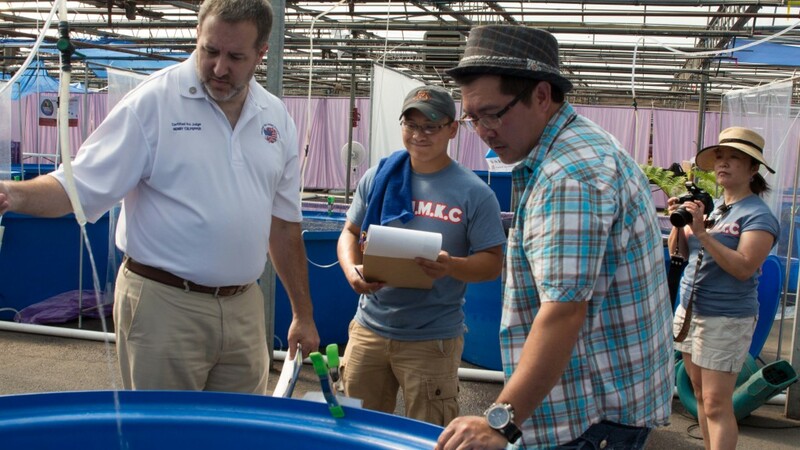 After the judging, my dad and Henry were slated to give a talk about different subjects: my dad spoke about choosing show fish while Henry spoke about growing jumbo Koi. 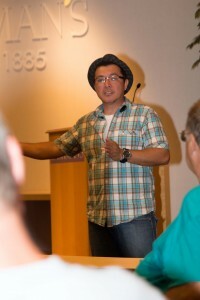 It was quite well attended for both talks, and all the attendees seemed to enjoy the sharing of knowledge. Tonight everyone was invited to have dinner together for the judge’s appreciation dinner at a buffet restaurant that served both sushi and Chinese food. The name of the restaurant is ’98 pound buffet’, which in my opinion is aptly named you do gain 98 lbs. after eating there! Michael Chang did such a good job of making sure everyone was comfortable and went the extra mile to make sure we had some of the freshest lobster and crab served at our table and everyone is so appreciative of his wonderful hospitality. I do have to congratulate the club for doing such a great job of putting up the show. It was so nice to see how everyone is helping out and the level of enthusiasm in the air makes everything all worth it. 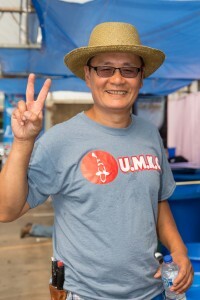 As I write this, Cheng Lee, current president of the UMKS, is currently standing guard at the show site while burning the midnight oil finishing up painting the exact pattern of the Grand Champion A and Grand Champion B winner on the plain white fiber glass Koi replicas which acts as their trophy to the winners of the aforementioned awards. Thank you Mikki! Love the pictures of you and Devon. Can’t wait for the collage.